The Economic and Financial Crimes Commission, EFCC, has arrested seven suspected fraudsters, including a serving corps member, who specialized in stealing the identities of influential Nigerians and duping foreigners, Daily Post reports. The internet fraud syndicate was arrested in Port Harcourt, the Rivers State capital, for duping foreigners of over N30m. The suspects were accused of impersonating a former Attorney-General of the Federation, Mr. Bello Adoke (SAN); the immediate past Chairman of the EFCC, Mr. Ibrahim Lamorde; the current AGF, Abubakar Malami (SAN) and the Minister of Finance, Mrs. Kemi Adeosun. The EFCC made this known in a statement signed by its spokesman, Mr. Wilson Uwujaren, on Thursday. According to the statement, the corps member, Prosper Onukagba, is currently serving in the Tai Local Government Area of Rivers State. Onukagba was allegedly involved in online dating scam, also known as romance scam. 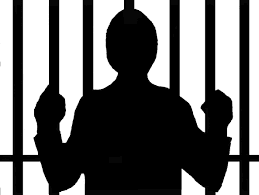 According to the anti-graft agency, he defrauded unsuspecting foreign widows, mostly from Europe and America. Also, one of the suspects, Promise Nwalozie, allegedly posed as Lamorde using the former EFCC chairman’s identity card to send scam mails to foreigners, mostly Europeans and Americans. In the process, Nwalozie reportedly extorted sizeable amount of foreign currencies from them. The statement read in part, “Besides, he also posed as Barrister Peter Jackson, a spurious lawyer working with the National Judicial Council. “As a ‘lawyer’, he was allegedly defrauding his victims by assuring them that he would help in the recovery of money lost to different Nigerian cyber fraudsters. “To further deceive Giese, he swore to a fictitious ‘Affidavit of claim of Federal High Court of Nigeria’ deposed to by a fake Justice Ibrahim Auta, OFR, on behalf of Giese. “The ‘affidavit’ was signed by a former AGF, Bello Adoke. To achieve his fraudulent schemes, he had several e-mail addresses suchas:sirpeterjackson@gmail.com, promisenwalozie@gmail.com, bigenoughforcare@gmail.com among others,” the statement added.